Stencils, masks, templates - whatever you call them, we're big fans of them! They have so many uses for card makers, scrapbookers, paper crafters, fabric artists, sewing fans and altered artists alike. 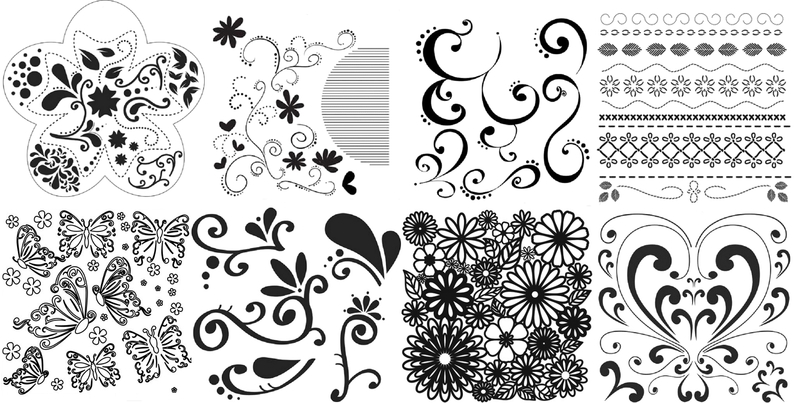 Many of the flexible templates come with a versatile range of patterns within patterns so they can be used as the whole stencil or arranged to create individual designs to suit. Have we inspired you? Take a look at our Stencils, Masks & Templates.